I never graduated much past Sega Genesis and the gray-and-green Nintendo Game Boy, so Mountain Dew’s new line is not for me, I guess. 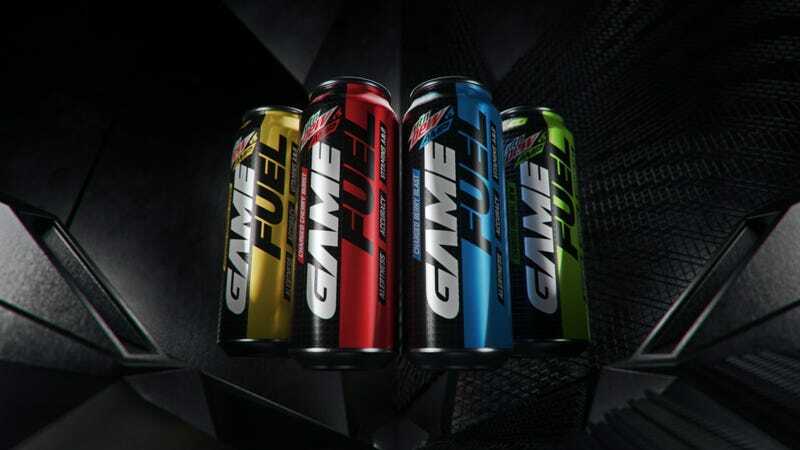 Dubbed MTN DEW AMP GAME FUEL (pretty sure you have to type it in all-caps and imagine a Hulk Hogan voice screaming it), the four-flavor energy drink/soda line boasts that it’s created “by gamers, for gamers” with a no-slip grip, re-sealable lid, and ingredients that promote alertness and accuracy. One tangible connection to gaming is literally the tactile feel of the cans: The can’s no-slip grip “mirrors the sensory design of accessories and hardware in gaming,” meaning it probably feels like the textured surface of a joystick. You know, the kind on the N64 controller.